Crochet has taken up most of my time lately that my sewing to-do list keeps getting longer and longer. I’ve been really excited about making this project and was waiting for some new fabric I ordered from FABULACE on Etsy. 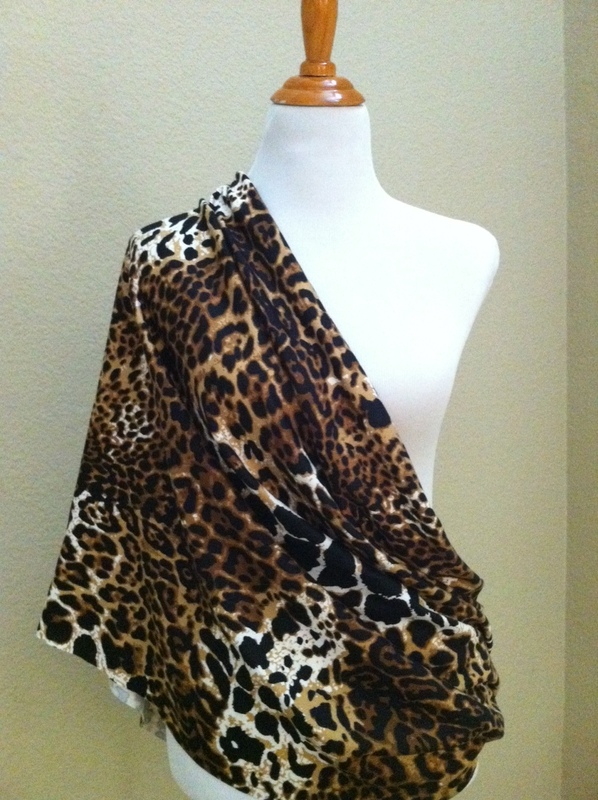 I bought a super soft knit jersey in a gorgeous leopard print that was going to be perfect. 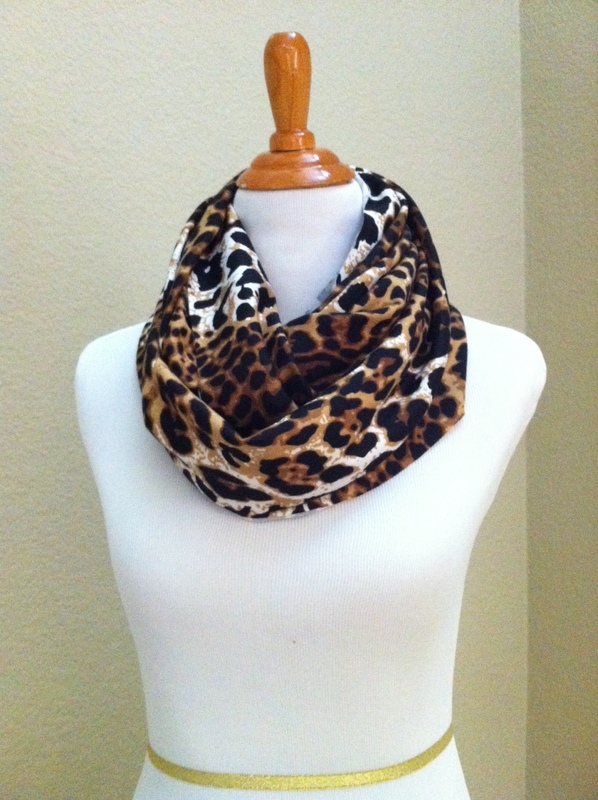 I sewed the fabric up into an infinity scarf that wraps around twice. This scarf is tailored specifically to nursing moms. Not only is it a fashionable accessory, but it opens up to make a great nursing cover up! (or as a friend of mine would call it, a hooter-hider). AND this is one item that can have a life after its maternity use! I find this to be sooo much prettier than the nursing cover available commercially. It covers the desired side a baby might be feeding on PLUS the mom’s back! Every nursing mom knows how annoying it is to be worried about not only exposing yourself in front but also the back where a shirt might pull up a bit as well. Fabric is super soft and light weight so its baby friendly as well. This is just the first of many I plan to make and will be available in the shop. There are so many beautiful jerseys and knits out there I don’t know where to start!